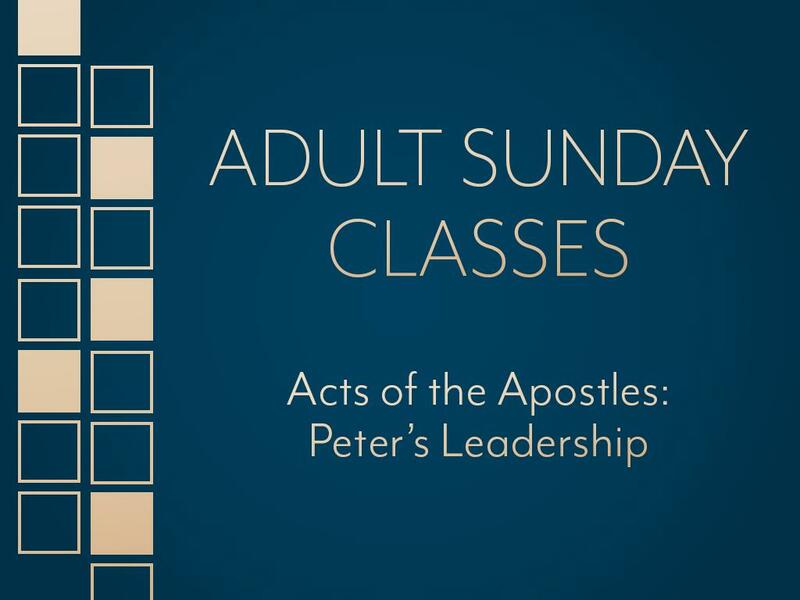 Peter’s role in the development of the church is the focus of the first 15 chapters of the book of Acts. When Jesus called Peter as a disciple he changed his name from Simon to “Cephas” (Peter), which means “rock” (John 1:40-42). At another point in His ministry Jesus told Peter He would be foundational in the building of the church (Matthew 16:16-18). After the resurrection, when Jesus appeared to the disciples at the Sea of Galilee (John 21), Jesus commissioned Peter to tend His flock. Jesus also told Peter that he would suffer death for his service to Him. The objective of these lessons is to observe how God used Peter in His work, and to make application of the Scripture to our own personal situation. The classes are led by Gary Peterson. Early Bird at 7:45 AM and Adult Bible Class at 10:30 AM. For more information, email adulteducation@faithchurchfc.org. Dr. Jim Olson, former senior pastor at Faith, is lecturing on Living Seriously in Time which is based upon 2 Timothy 2. © Copyright 2019, Faith Church, All Rights Reserved.